Winter weather can pose significant challenges for general aviation pilots. Snow, wind, ice, and freezing temperatures make flying in the winter more complicated and hazardous, leading some pilots to stay grounded for part or all of the winter season. But before you store your aircraft for the long winter, why not give it a little extra TLC? Winter can be a great time to perform many maintenance tasks on your airplane, including propeller maintenance. Did you know that the propeller is one of the most highly stressed components on an aircraft? It’s true! On most general aviation aircraft, the propeller blades experience several tons of centrifugal force during normal flight. Therefore, it’s critical to make sure your propeller is in top condition. One way to detect emerging issues in your propeller is by performing thorough preflight and postflight inspections. Start with a visual inspection, looking for signs of obvious damage like nicks, dings, and gouges from debris, cracks in the spinner dome, missing hardware, and erosion. Then, use your bare hands to feel for any rough spots or sharp edges that might be hidden to the naked eye. We have several helpful video tutorials you can watch to learn how to conduct a proper inspection of your propeller. Before tucking your aircraft away for the winter, it’s a good idea to give it a wash, wax, and detail. Cleaning your aircraft of bugs, dirt, and pollutants regularly will keep the exterior in top condition and prevent damage. It’s particularly important to limit damage to your propeller’s paint, which acts as a protective layer. Minor impacts or excessive build-up of pollutants can remove paint and expose the aluminum or composite material underneath. When cleaning your aircraft propeller, avoid using harsh chemicals. We recommend using a simple mixture of water and dish soap. Make sure you wash the blades in the downward facing position to prevent fluids from running back into the propeller hub and causing damage. If you notice any minor damage to your propeller’s paint, such as minor chipping or flaking, you can use the manufacturer’s approved paint to perform touch-ups on your own. If you find yourself grounded for the winter season, it might be an ideal time to send your propeller to the prop shop for repairs or scheduled overhaul services. Repairs – If you notice any signs of physical damage, internal corrosion, or imbalances in your propeller during the visual inspection, it’s best to get these issues addressed by an expert right away. When left unchecked, even minor issues can turn into dangerous, expensive problems. Overhaul – Check to see if you are about to reach your manufacturer’s recommended TBO, either in flight time or calendar time. If your engine is due for overhaul before your propeller, it’s often a good idea to do both at the same time to reduce flight downtime and improve the overall efficiency of your aircraft when you’re ready to fly again. Hartzell Propeller offers a world-class service center in Piqua, Ohio to complete your propeller maintenance and repair. We have also assembled a network of Recommended Service Facilities around the world that meet our high standards for safety and quality. Upgrade – If you’re looking to upgrade your propeller and improve the performance of your aircraft, you might consider a propeller replacement. At Hartzell Propeller, our Top Prop conversion program provides a way for pilots to improve the performance of their aircraft in one or more areas including shorter take-off distance, lower noise levels, better ground clearance, reduced tip erosion, increased climb rate, increased cruise speed, smoother operations, and of course, better ramp appeal. In fact, many of our Top Prop customers say they feel as if they’ve bought a whole new aircraft after upgrading their propeller! 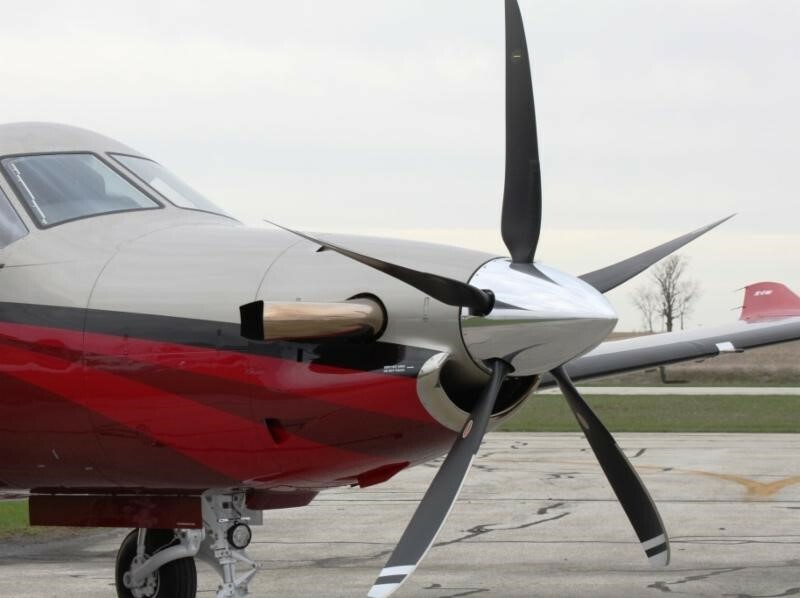 Hartzell also offers an extended warranty on Top Prop propellers all the way through the first overhaul, helping reduce the cost of flying and encouraging safety through recommended periodic maintenance. Your aircraft propeller is an important investment in the safety, performance, and efficiency of your airplane. By engaging in proper preventative maintenance and following recommended overhaul times, you can reduce costs and protect the value of your propeller for years to come. If you have questions for our Hartzell Propeller technical team, please contact us.